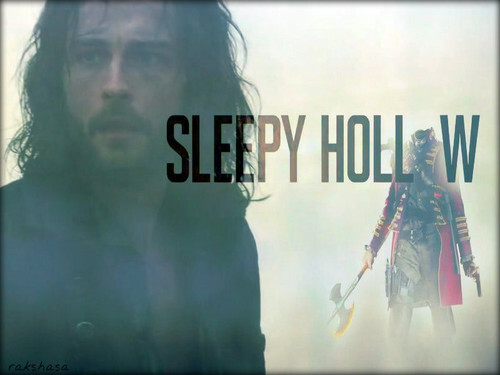 This Sleepy Hollow (TV Series) wallpaper might contain ishara, bango, maandishi, ubao, matini, and ubao wa chokaa. Nice! The different shades of blue with white are very stunning! I love the blur and fog effect to it, gives it a cool eerie vibe. Again, I really like that font and how you make it look transparent, the pics are lovely, too ;).